The Just Dual It! campaign was launched on Monday 19th March, calling on the Government to commit to make funding available to dual the entire 115-mile length of the A47 by 2030. The campaign is being spearheaded by Norfolk County Council, Norfolk Chamber of Commerce and the Eastern Daily Press. Click here to find out more. The A47 Alliance's ultimate goal is full dualling of the A47 with appropriate grade separation. 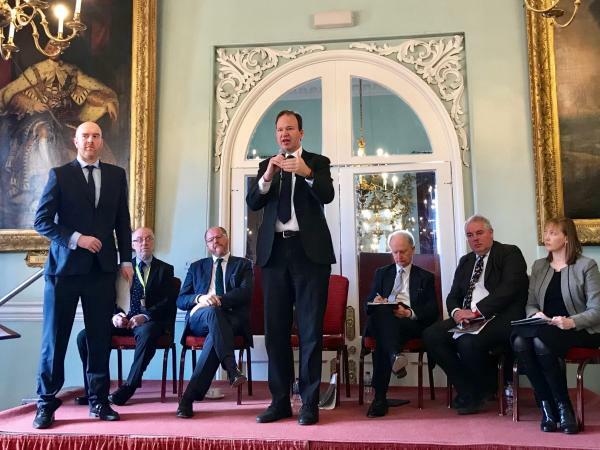 A fully dualled A47 will help to boost the economic prosperity of a large part of the east of England and make a significant contribution to the national economy. Our programme of staged investment will help turn the 115 miles of the A47 into a genuine strategic link. Government has committed to an investment of over £300m for improvements along the A47 for delivery in the early 2020's. The A47 Alliance's ultimate goal is full dualling with appropriate grade separation (bridges and flyovers), we will continue to push government to deliver this in the longer term. The estimated cost of a fully dualled A47 is £1.4bn. With a combination of selected improvements, within 20 years there will be 16,890 more jobs in the area, 10,585 new dwellings and an increase of £706m per annum in the economic output (GVA). The A47 Alliance needs your support to make the case for investment in the road. Register your support or find out more about the A47 Alliance. Tweet your support to @a47alliance for dualling and/or improvements to the A47 using #a47dual.